Here is a final look at the Dodger cards found in packs of Panini's 2016 National Treasures. This time we look at the base cards. Unfortunately, I have yet to see the Jake Daubert or Max Carey cards. I'll update this post when they pop up. Go here to see all of my past post on this set. Go here for a complete checklist. 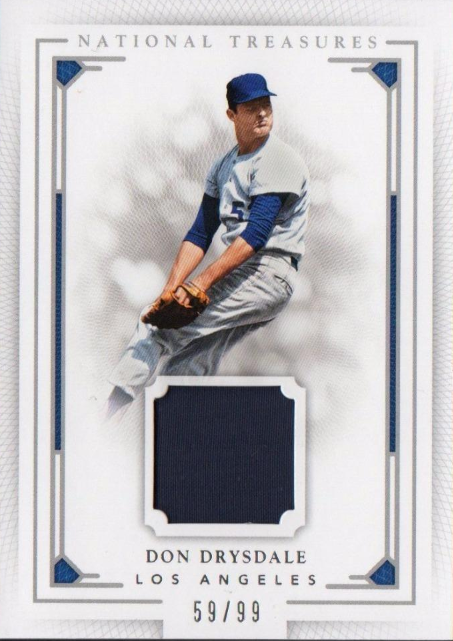 BTW, there are five different Dodger "Base Variation" cards available. You can check them all out below. 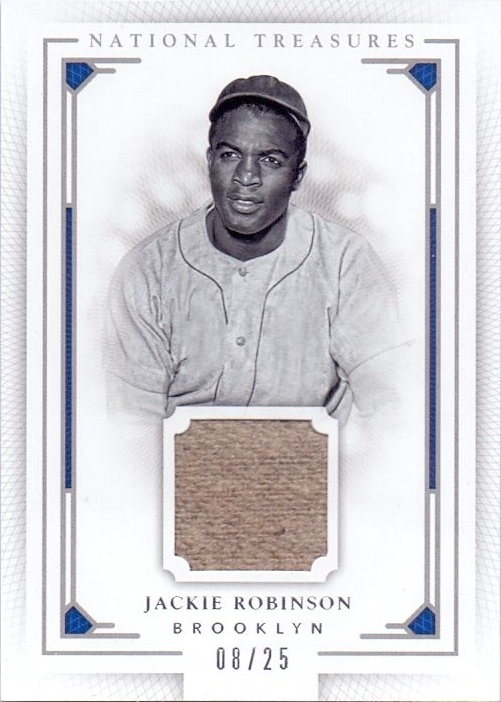 As you can see, the variation cards include a nickname or an distinguishing accomplishment by the player. He's officially a Dodger now. 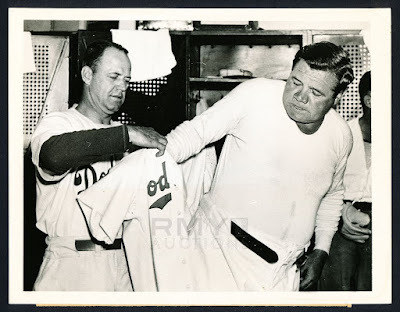 The Dodgers were no-hit by Reds hurler Johnny Vander Meer on June 15, 1938 -- the second of his two consecutive no-hitters that season. Then the following day Ruth met with the team and officially signed a contract to be a coach for Brooklyn. He would debut in the uniform on the 19th at Ebbets Field. This Day in Dodgers History: In 1988 Steve Garvey announced his retirement from the game of Baseball. Happy Birthday, Jimmy Jordan & Elmer Dessens!